All parking is Season reserved. Most spaces are on the pavement. A few spaces are available under the trees. **NOTE** Spaces 82-105 are under a Tree line and requires a vehicle capable of driving over a curb, SUV, Pick-up: no low profile sports car. Season Reserved Price: $500.00 for the Regular Season Games. Your space will be held until May30, 2017 after which it will be released to the general public. The front lawn is available to rent for group parties (alumni associations, etc.) 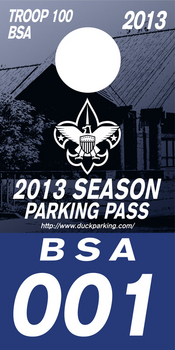 email us at parking@duckparking.com or call 541-206-9455 for details. Note: Alcohol consumption is allowed on this lot as per Eugene City Ordinance 20392, which amended Eugene City Code 4.190. Alcohol is only allowed on game day, starting 4 hours prior to kickoff and ending when the game is over. Violations will result in the immediate loss of parking privileges with no refunds.